This slim-tailored ski coat has become a real classic within the Goldbergh collection! 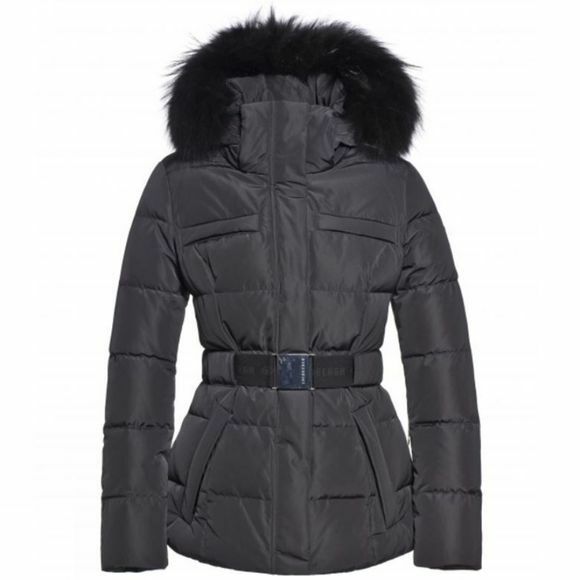 The coat has a detachable hood with a luxurious imitation faux fur collar and a practical detachable powder skirt on the inside. The coat has four closable pockets with a flap at the front. Inside the left sleeve, there is a closable pocket for your ski pass. A Goldbergh logo is woven into the belt and the golden Goldbergh label is attached to the left sleeve. Naturally, there is also a handy closable inside pocket.